Sgt. 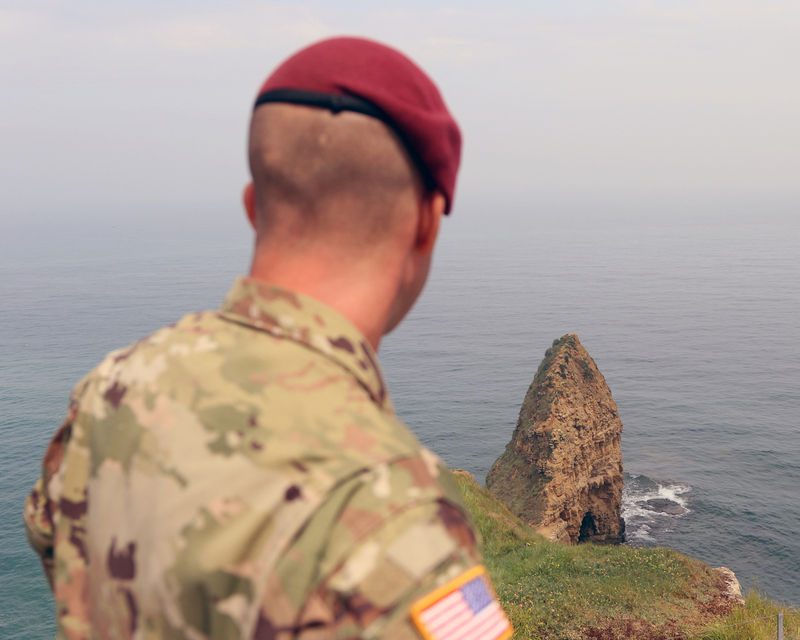 1st Class Clyde Tyner, a cavalry scout platoon sergeant with 5th squadron, 73rd Cavalry Regiment, 3rd Brigade Combat Team, 82nd Airborne Division, looks off the cliff at Pointe Du Hoc during a staff ride on May 31, 2018 at Normandy, France. Tyner and dozens of other paratroopers will represent the division during historical tours and ceremonies that will will help commemorate and honor the 82nd Abn. Div. paratroopers who jumped, fought and died on D-Day and throughout WWII. Photo by Sgt. 1st Class Daniel Wallace.